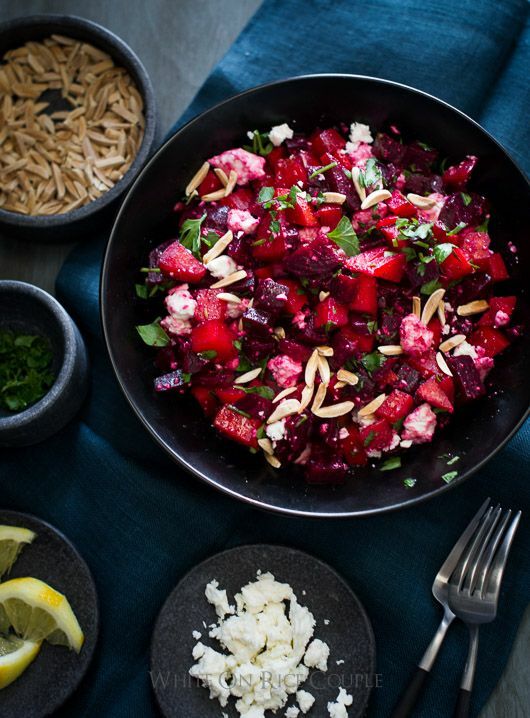 Who knew that beets could be so good? This prehistoric food is naturally sweet and contains valuable nutrients to help control high cholesterol, boost energy levels and are essential in a natural detox. 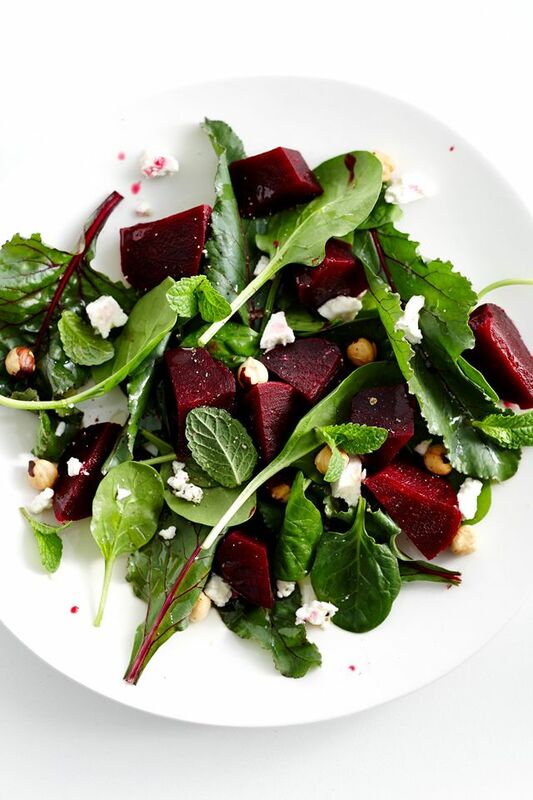 Try some of these delicious beetroot salad ideas which make for a light lunch or dinner meal. 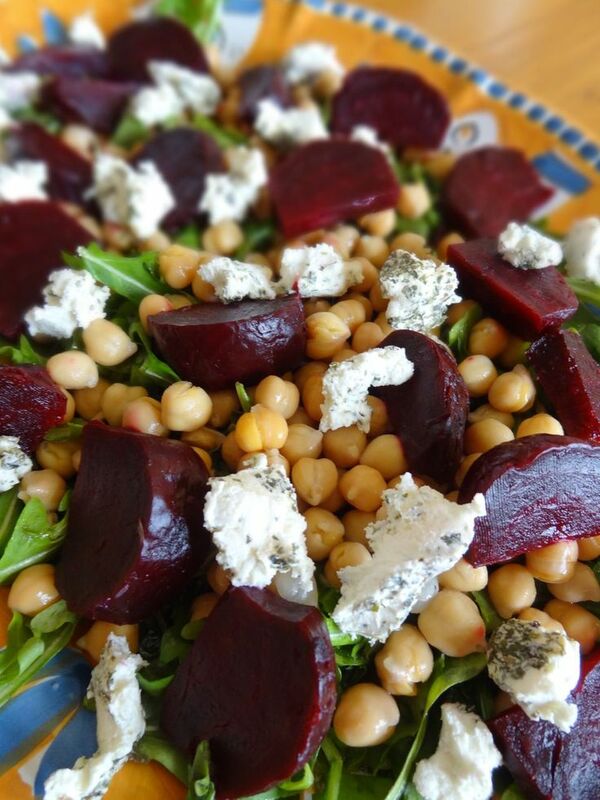 Try this colourful salad the next time you want something light and tasty for dinner. Sprinkle some feta cheese over the top, then garnish with lemon juice and cracked black pepper. 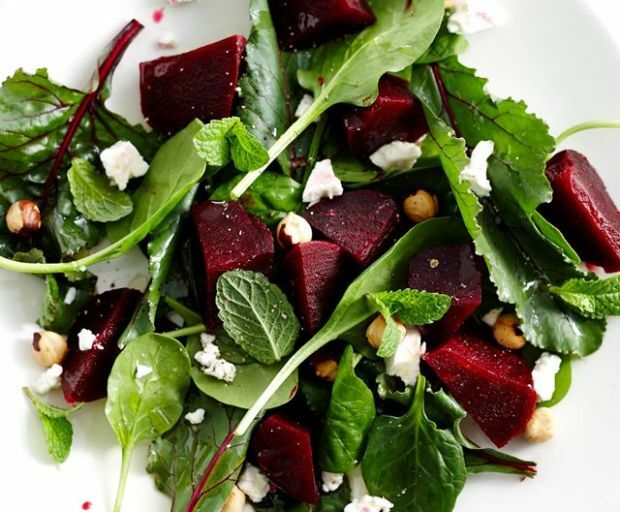 Pick some baby spinach leaves straight from the garden to add into this summer salad. Roasted walnuts make for the perfect side to the dish. 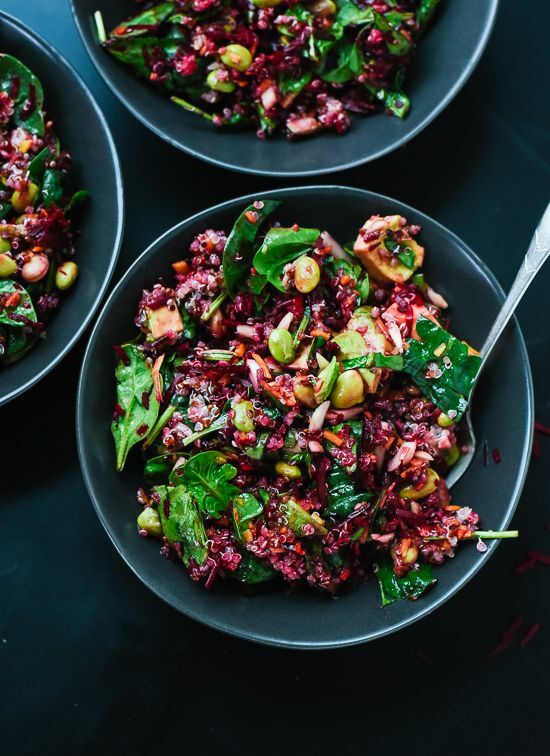 If you’re a fan of quinoa, make sure to try this salad with beets and spinach. This dish is also vegan and gluten-free, so it’s perfect for everyone! 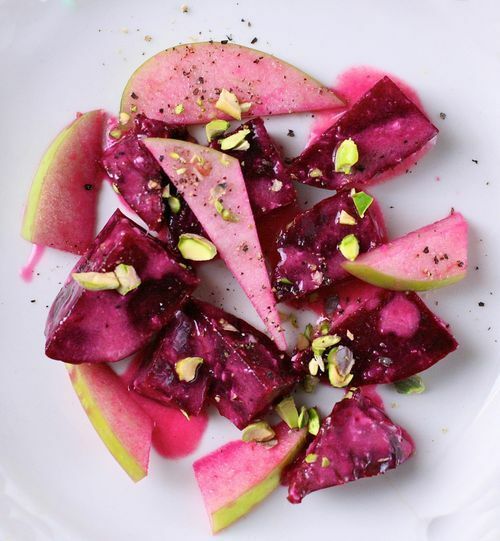 For something a little sweet to beat 3:30-itis, this apple and beetroot salad makes for the perfect snack. 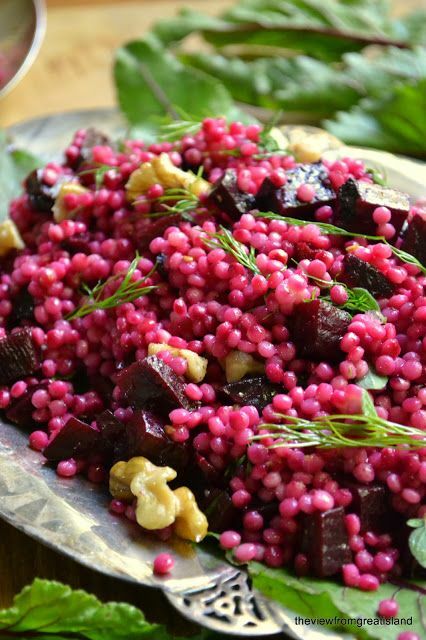 Serve with yummy pistachios sprinkled over the top for added texture. To make your salad a little more filling, add a handful of boiled chickpeas before serving with cashews and crumbled goats cheese. Create this rainbow salad which takes just minutes to complete from scratch! Serve with fresh dill, lemon juice, parsley and oregano for that authentic taste. 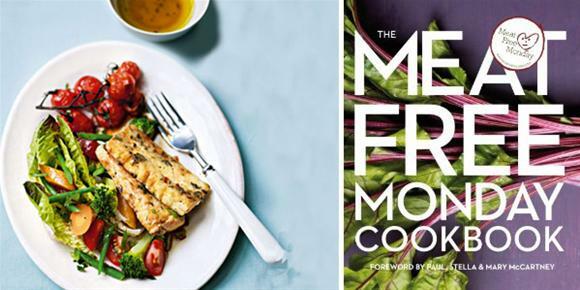 We love Paul McCartney’s vegetable salad recipe served with grilled fish, or if you want to keep it completely meat-free, try it with grilled tofu, a veggie burger or oven-baked wedges. Taken from the Meat Free Monday Cookbook. 1. Preheat the oven to 200C and roast the cherry tomatoes for 10 minutes. 2. Cover the bottom of a pan with cold water and place a steamer above it. Put the broccoli, green beans and carrots in the steamer, turn the heat on quite high and steam for about 15 minutes, occasionally prodding the carrots with a fork to see if they are done. Some people like them slightly crunchy, others prefer them a little softer. 3. While the vegetables are steaming, make a salad with the leaves and spring onions. 4. Whisk together the ingredients for the dressing, but only pour over at the last minute. Assemble your meal by first putting the salad on the plate, then the warm vegetables and finally the tofu. Pour over the dressing then add a little seasoning sauce of your choice.